Korea plans to launch an exploratory lunar probe aboard its own launch vehicle by June 2020 and later embark on missions to Mars and asteroids by 2040, the Ministry of Science, ICT and Future Planning announced yesterday.This represents a revision of the space development blueprint that moves up the time frame of the lunar landing mission and outlines a budget and other long-term space plans. The advancement of Korea’s space program is one of President Park Geun-hye’s key pledges in line with other projects aimed at fostering the sciences and engineering fields. 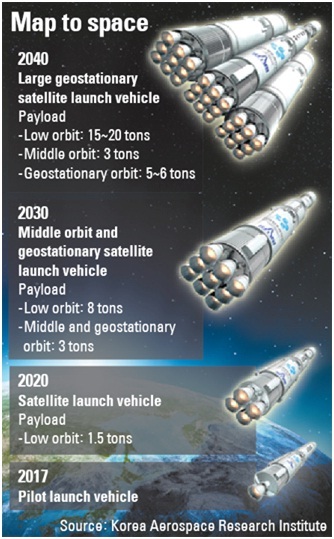 Initially, the development of the space launch vehicle, or rocket, was scheduled for September 2021 with a budget of 1.545 trillion won ($1.45 billion). The ministry pushed up the schedule by one year and three months, and boosted the budget to 1.957 trillion won. South Korea on Thursday successfully launched a new science satellite, beginning a two-year mission to search for clues about the evolution of the universe. The Science and Technology Satellite-3, or STSAT-3, blasted off at 1:10 p.m. aboard a Dnepr launch vehicle from the Yasny launch base in southern Russia near the border with Kazakhstan. The three-stage, liquid-fueled Russian launcher sent the 170 kilogram satellite into orbit approximately 600 kilometers above sea level. The launch vehicle “successfully released the STSAT-3 into our target orbit around Earth exactly 929 seconds after lift-off,” the launch team in Russia said. “It’s a great relief after all the things we’ve been through to prepare this moment, over the past seven years,” Rhee Seung-wo, the STSAT-3 program manager told The Korea Herald. Controllers confirmed that initial contact with the satellite was made at 2:40 p.m., 89 minutes after lift-off at a ground station in Svalbard in the Arctic Ocean. South Korea’s new multipurpose satellite made contact with a ground station in the Asian country early Friday, confirming its successful deployment into its target orbit, officials in Yasny said. The first communication contact was made at 2:35 a.m. (5:35 a.m. KST), according to the officials from the Korea Aerospace Research Institute (KARI). The Korea Multipurpose Satellite-5 (KOMPSAT-5) was launched Thursday from a launch base in Yasny, located some 1,800 kilometers southeast of Moscow, using Russia’s Dnepr rocket, a space launch vehicle converted from a Soviet-era intercontinental ballistic missile. Beacon signals from the satellite were initially picked up by the Troll Satellite Station in Antarctica, 32 minutes following the launch, partly indicating the satellite’s successful deployment into its orbit. For full artilce, see Korea Herald. 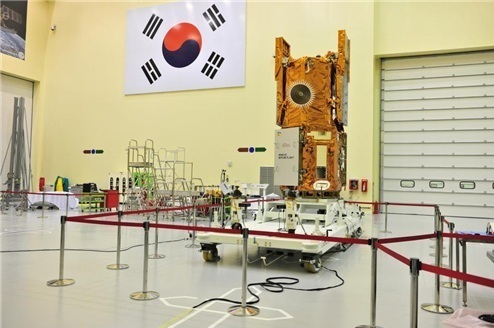 The government vowed on Monday to invest 1.6 billion won ($ 1.43 million) over the next three years to nurture qualified professionals in the satellite industry. The Ministry of Science, ICT and Future Planning has partnered with the Satellite Technology Research Center of Korea Advanced Institute of Science and Technology to jointly develop new training courses for selected postgraduate students and researchers. The ministry said it was seeking to increase manpower in the space industry from roughly 2,000 to 5,000 by 2020. 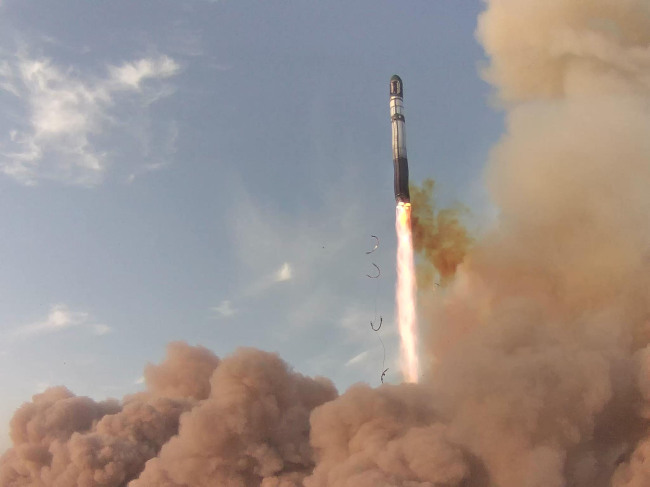 Korea made major strides earlier this year by successfully launching its first locally assembled space rocket KSLV-1 from its own soil for the first time. South Korea is set to launch its first radar-equipped Earth observation satellite as planned on Aug. 22, the government announced on Thursday. 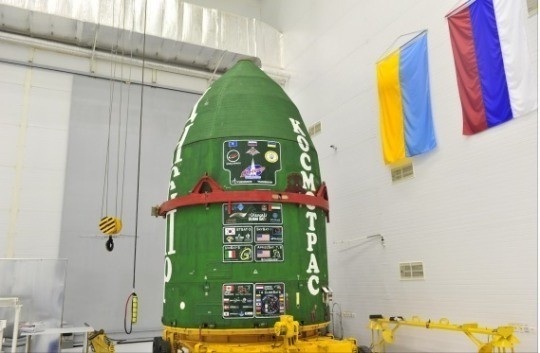 The Ministry of Science, ICT and Future Planning said that the satellite KOMPSAT-5 was moved Thursday to the Yasny launch base in Russia. The KOMPSAT-5 is the country’s first SAR, or synthetic aperture radar, satellite that is capable of providing images in all weather conditions. 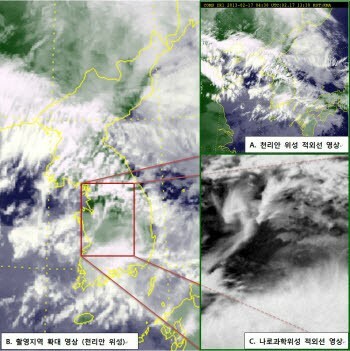 The ministry said the SAR satellite would eliminate the limitations of traditional satellites, such as monitoring flooding under heavy clouds. If the launch is successful, the satellite will begin operating after a six-month test period in February 2014 at an altitude of 550 km in a dawn-dusk orbit. 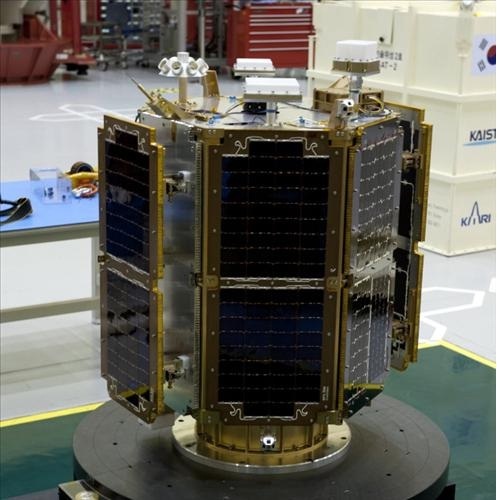 The first satellite footage taken by Naro space rocket or KSLV-1, Korea’s first space launch vehicle that was launched last month has been released. Ministry of Educational Science and Technology (MEST) and Korea Advanced Institute of Science and Technology (KAIST) released satellite footage of Korea peninsula and thermal image of china and announced on March 3, Naro space rocket operated as usual from March 1. The footage was a demonstration of infrared light payload taken at an altitude of 500 kilometers on Feb. 17 and 21. Cheollian infrared footage confirmed the sensory on the payload worked properly.